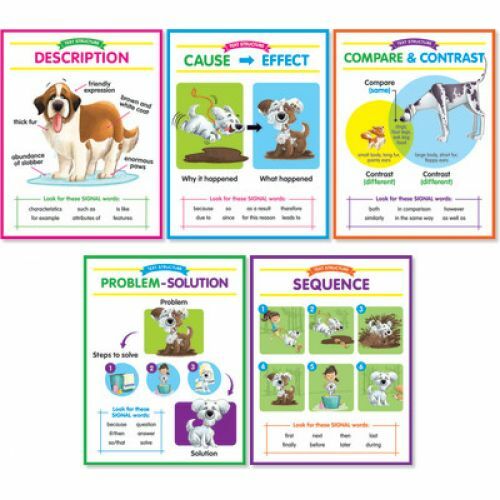 Help students learn text structures with these charmingly illustrated anchor charts. 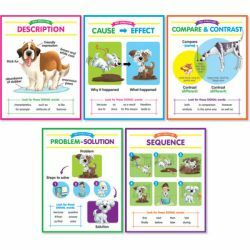 Set includes the five major text structures: Description, Cause & Effect, Compare & Contrast, Problem & Solution, and Sequence. Features a reproducible version on the reverse that students can reference throughout the year.